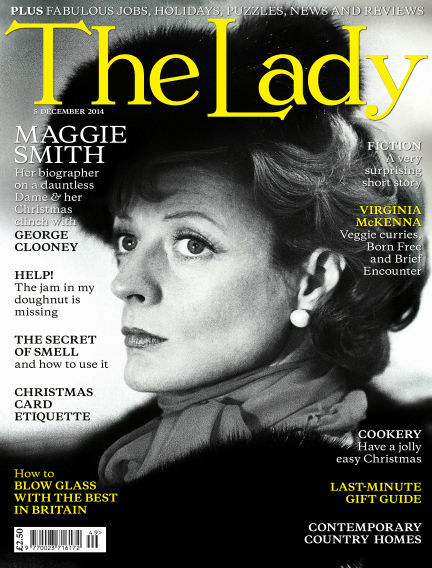 In this issue of The Lady : Last week, I was invited to 10 Downing Street. No, I’m not being knighted, or offered a role in government; I was merely one of many asked to attend a Women In Media Reception hosted by the prime minister. They served some rather nice miniature sausages, cucumber sandwiches and some half-decent wines, but the point David Cameron wanted to make in the brief speech he gave was that the next general election is fast approaching and that, this time, we should all get involved – whoever we support. The inspiration, no doubt, should be the recent Scottish independence referendum, when more or less the entire nation became politically motivated and voters attended the polling stations in their droves. As we mark the centenary of the First World War, surely we should all shun apathy and exercise our hard-won democratic right, whatever our beliefs. Thomas Gibson Bowles, who in the 1890s was the Conservative Party Member of Parliament for King’s Lynn. But The Lady is not about one political party – ‘Tommy Bowles’ himself later became a Liberal before returning to the Tories – but good, hearty dialogue, the type of conversation that takes place at coffee mornings, on the local bus with a new friend, in pubs, village butcher’s shops, at supermarket checkouts and outside the church after the Sunday service. With Readly you can read The Lady (issue 5th December 2014) and thousands of other magazines on your tablet and smartphone. Get access to all with just one subscription. New releases and back issues – all included.